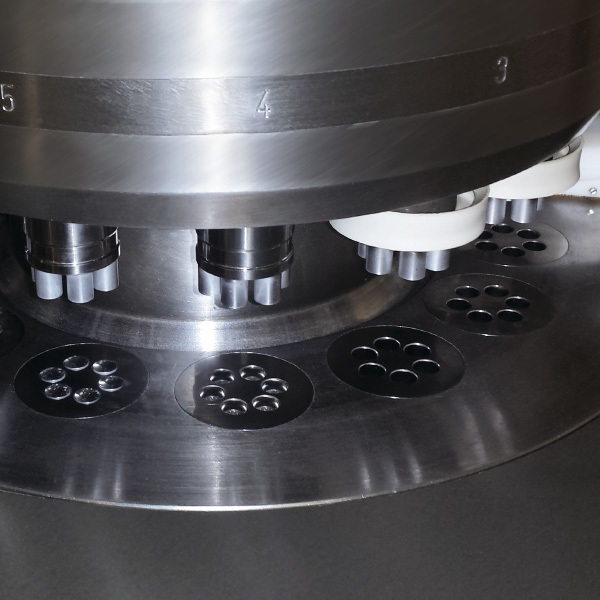 NOTTER not only provides premium-quality tooling, but also com­prehensive solutions. Typical root causes for issues that affect the tools, often lie in the process or the tabletting ma- chine. Our exper­ienced engineers are able to support you with competence. All application engineering and tabletting process areas are compre­hensively worked on from concept, over material selection, up to the exact determina-tion of weight, volume and surface area of the tablet and the tabletting tool. In addition the best process parameters can be determined for the tabletpresses in which the NOTTER TABLETTING TOOLS are used. Furthermore we are delighted to come on site and work with your teams in analysing specific issues to identify root causes. We will develop specific solutions, which help you to master issues such as corrosion, sticking and picking, abrasive wear or high compression forces. Our application engineer would be happy to advise you in person.